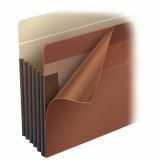 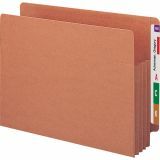 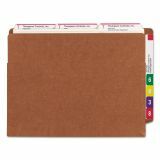 Smead 3 1/2" Expansion File TUFF Pockets, Straight Tab, Letter, Redrope, 10/Box - File pockets won't rip out even when pulled from the shelf by the gusset. 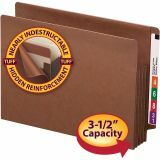 Gusset is fully lined with tear-resistant Tyvek. 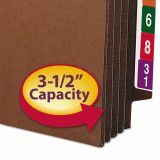 It also has special rollover reinforcement at the top and extends into the front and back panels twice as far as standard file pockets. 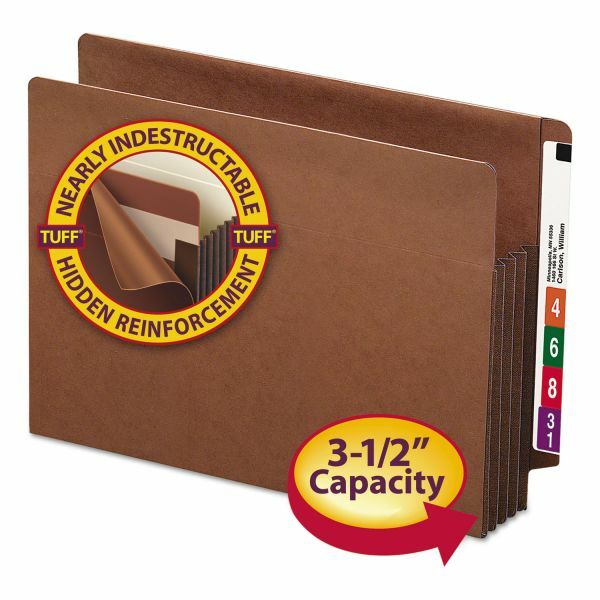 Super heavyweight, front and back panels provide rigid support and have a hidden reinforcement strip at the point of greatest stress. 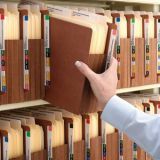 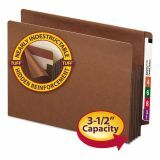 Extra wide design accommodates standard-size top-tab file folders to create a complete client file. 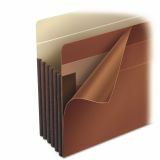 File pockets have end tabs and are made of redrope stock.